With my found and fixed PS3 still lacking a working disc drive, it wasn't getting much use. However, a few weeks ago DUST 514 was released, a free-to-play game that requires no disc drive! DUST also has keyboard and mouse support, which I use. Sitting in front of the TV with a keyboard and mouse is not the best ergonomic experience though. I connected my PS3 to my PC monitor through an HDMI to DVI cable, but there was no audio. 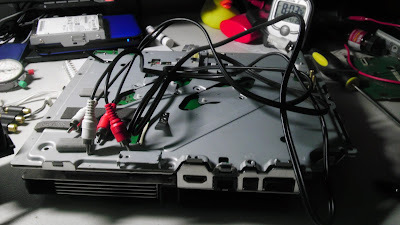 The PS3 has analog audio out, but I lacked the cable. This seemed like something I could solve, so I opened up the PS3 once again. 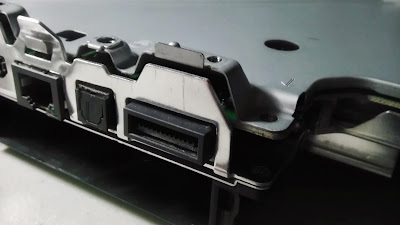 The a/v (analog) port on the PS3 is connected to the PCB with 12 pins. Thanks to the PS3 Dev Wiki, I knew what the pinout was for the actual connector. 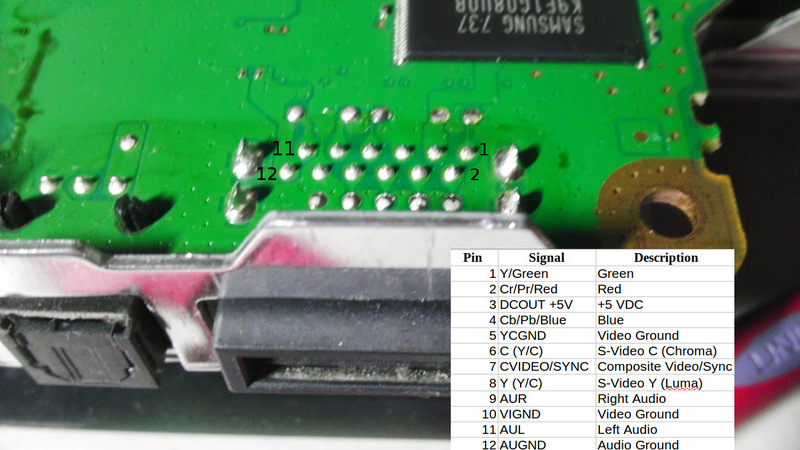 The pinout includes three grounds at pins 12, 10 and 5, so I used those to find the location of the pins on the PCB. 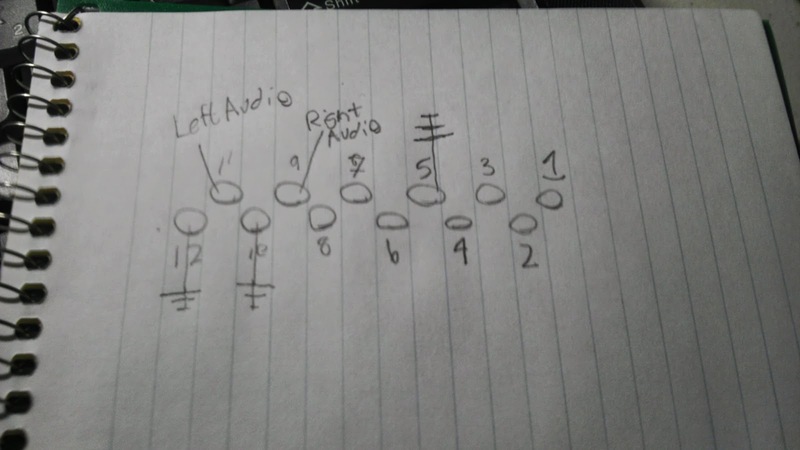 By determining the location of the three ground pins using my multimeter's continuity function, I could make a pretty good guess at the layout of the other pins (I was right). 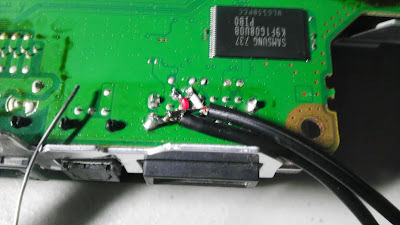 Now it was just a matter of connecting something to the audio pins at 11 and 9. 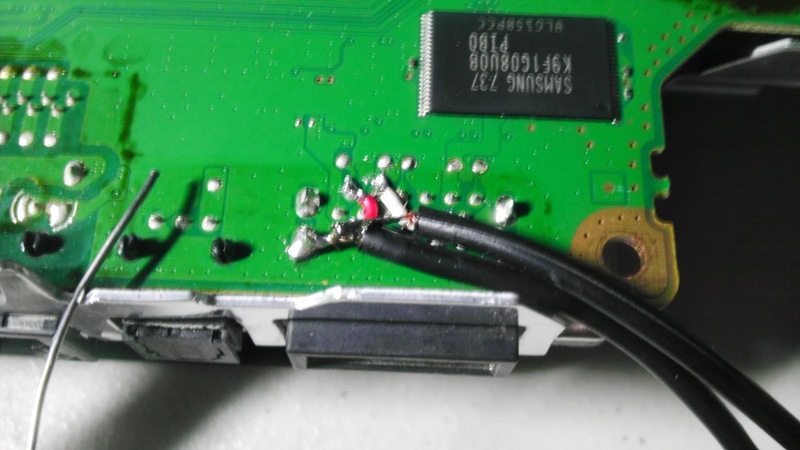 I decided that the best way (for me) was to solder two RCA cables to the board and run them out the back through a hole in the shielding. 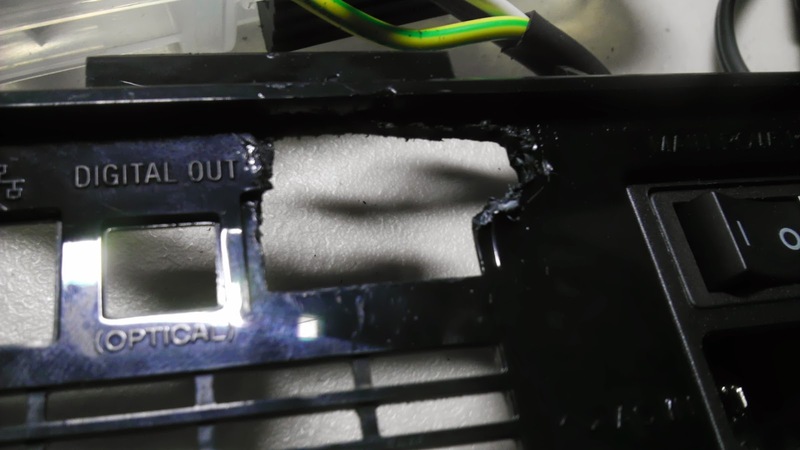 Unfortunately, this meant that I had to cut a hole in the back of the PS3. Lacking any drills or rotary tools, I shrugged and tore an opening out with some pliers. Then I soldered on the cables to the board. This is pretty bad for stress relief, if there is any significant force they would probably be ripped right off, but it works for now. 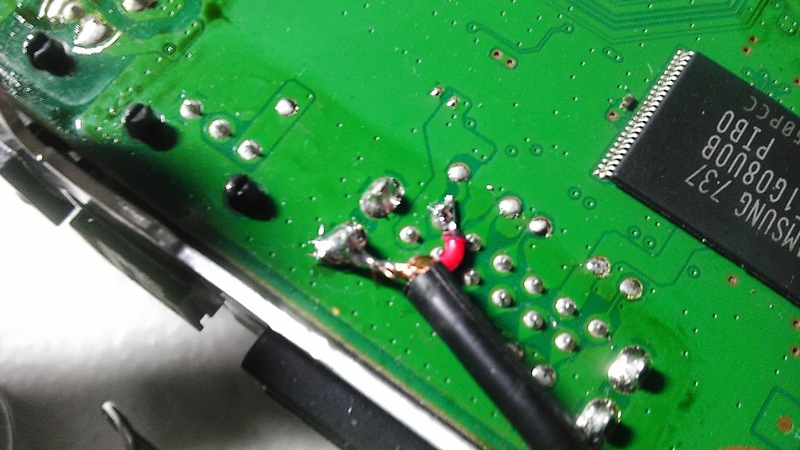 I used the port shielding ground as the cable ground instead of the actual audio ground. Now I just ran the cables out the back, with the connectors fitting through the hole I made. I hooked the audio cables up to my Turtle Beach xbox headset and got great audio through my hack. 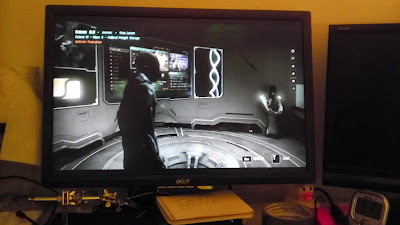 Now it is simple to play DUST 514 using my mouse, keyboard, and headset while pretending it's actually a PC game. 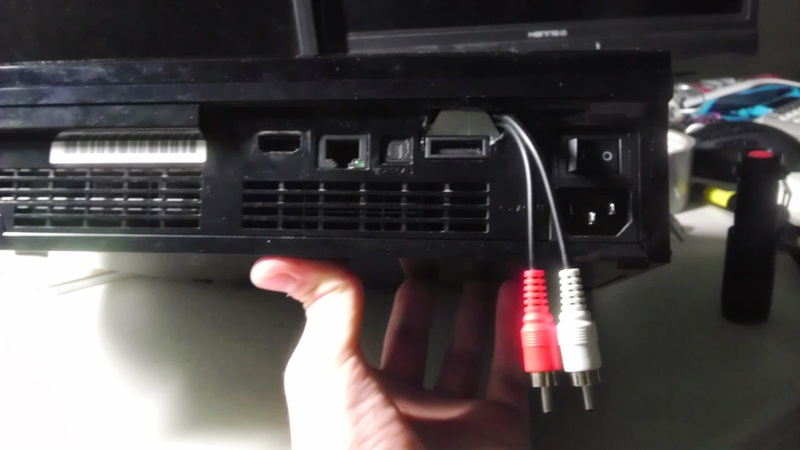 I know there is a standard analog A/V cable that comes with the PS3 that would have worked just as well in this situation. However, I did not buy my PS3 new (or at all) and did not have the cable. Really? The guy just hacked in audio out in there. No buying stuff. No dollars spent. Fun had. It's what we makers/hackers do. Cable that was just sitting around and a few minutes work? Priceless. Better than your Munster cable any day! I'm aware, but I didn't want to spend money on another single-use cable, especially for a free PS3.